Irish tax legislation requires that the profits or gains of a trade carried on by a company must be computed in accordance with generally accepted accounting practice subject to any adjustment required or authorised by law.8 Therefore, Irish transfer pricing legislation may result in an adjustment to the accounting profits for tax purposes. Where a transaction is undertaken at undervalue this may be a deemed distribution by the company for Company Law purposes, and if the company does not have distributable reserves this may be an unlawful distribution by the company. However, there are a number of unusual aspects to the Irish transfer pricing rules that are worth noting. First, the transfer pricing legislation applies to any 'arrangement' involving the supply and acquisition of goods, services, money or intangible assets. For these purposes, 'arrangement' is very broadly defined and it captures any kind of agreement or arrangement whether it is, or is intended to be, legally enforceable. However, the transfer pricing legislation does not apply to any arrangement that was agreed before 1 July 2010.9 This grandfathering of existing arrangements is not limited by time and as long as the terms do not change then an arrangement in place before 1 July 2010 may be excluded from the Irish transfer pricing legislation, potentially indefinitely. Practically, the expectation of the Irish Revenue Commissioners (Irish Revenue) is that this grandfathering of pre-1 July 2010 transactions will be lost through the passage of time where actual trading relationships change, even where contractual terms may not. Second, the transfer pricing legislation applies where the supplier and acquirer in question are 'associated'. Two persons are associated if one person participates in the management, control or capital of the other, or the same person participates in the management, control or capital of each of the two persons. However, the first person is participating in the management, control or capital of the other person only if that other person is a company controlled by the first person. The transfer pricing rules will, therefore, necessarily involve at least one corporate entity.10 However, the transfer pricing rules do not apply in a single corporate entity. Therefore the transfer pricing rules do not apply in determining the pricing as between the head office of a company and a branch of that company. Third, the transfer pricing legislation will only apply to profits or losses arising from the relevant activities that are taxed as the profits of a trade or profession.11 This is an unusual aspect of the Irish transfer pricing rules that is worth considering in the context of the Irish corporation tax rates. In Ireland, corporate trading profits are taxable at 12.5 per cent while other non-trading or passive income (e.g., interest income) is typically taxed at 25 per cent. Rather unhelpfully, 'trading' is defined in Irish legislation as including 'every trade, manufacture, adventure or concern in the nature of a trade'. While there is extensive case law on the meaning of trading, the case law is typically very old and originates from a time when trading profits were taxable and non-trading profits were not taxable (in the absence of a capital gains tax). Typically, a trade in Ireland involves regular activity conducted in Ireland by persons engaged in the revenue generating part of that business. Very often, it is clear whether a particular activity constitutes a trade; however, it is not always clear in the context of intra-group loans or an intra-group licence arrangement which can have trading and non-trading characteristics depending on the facts. This means it is possible for an Irish company to make an interest-free loan or grant a royalty-free licence where the level of activity does not rise to the level of a 'trade'. The Irish transfer pricing rules will not apply to the non-trading arrangement and the Irish company is not obliged to charge interest on the loan or charge a royalty on the licence. However, where the company is making a number of loans or granting a number of licences, this may increase the likelihood that the company is actually trading and that the transfer pricing rules will apply requiring the imposition of an interest charge or royalty. Other noteworthy consequences of the rule, whereby transfer pricing legislation only applies to trading transactions, include the fact that capital transactions are not covered by the transfer pricing legislation (though the market value rule mentioned above may apply) and non-trading shareholder transactions are not captured either. Fourth, the Irish transfer pricing legislation can only operate to increase the Irish taxable profit.12 Therefore the rules can only increase understated income or reduce overstated expenses. Fifth, the Irish transfer pricing legislation should be construed to ensure, as far as practicable, consistency with the OECD Transfer Pricing Guidelines for Multinational Enterprises and Tax Administrations. However, the relevant OECD Transfer Pricing Guidelines referenced in the Irish transfer pricing legislation are the guidelines approved by the Council of the OECD on 13 July 1995, as modified by the updates of 16 July 2009 and the revision of 22 July 2010 (being the 2010 transfer pricing guidelines).13 The 2017 OECD Transfer Pricing Guidelines have not yet been incorporated into Irish law. This is more relevant in respect of dealings between Irish companies and persons resident in non-double tax treaty partner jurisdictions. The 2017 OECD Transfer Pricing Guidelines are considered to already apply to the interpretation of the arm's-length principle for the purposes of Ireland's double tax treaties. These unusual aspects of the Irish transfer pricing rules have raised questions as to whether the rules are still fit for purpose. As a result, the transfer pricing rules are under review and changes to the transfer pricing rules can be expected over the coming years. 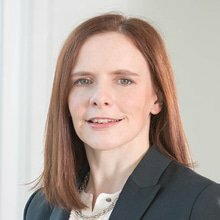 Possible future changes to the transfer pricing rules are considered in Section X.
Irish Revenue have issued guidance on the expectations regarding transfer pricing documentation.15 The guidance issued by Irish Revenue notes that there is no requirement for documentation to be kept in a standard form. The legislation does not require that the taxpayer itself must prepare the documentation or that the documentation must be in Ireland. Furthermore, if appropriate documentation has been prepared by an associated company for tax purposes in another country, it should be sufficient that the documentation can be made available if required. Although not binding, Irish Revenue accept the EU Council code of conduct entitled 'EU Transfer Pricing Documentation' and Chapter V of the OECD Transfer Pricing Guidelines as representing good practice. The actual documentation required will depend on the facts and circumstances and the documentation maintained should be commensurate with the risk involved whereby complex and high value transactions would generally require more detailed documentation than simple high volume transactions. the terms of the relevant transactions. It is best practice that the documentation is prepared or available at the time the terms of the transaction are agreed. There is no obligatory time frame for review and updating of transfer pricing documentation; however, it should be reviewed at regular intervals to determine whether the pricing remains at arm's length. Ireland has introduced legislation to implement country-by-country reporting requirements.16 The Irish country-by-country reporting closely mirrors the OECD model legislation and relies on it for certain definitions. It should be noted that there are some differences between the OECD model legislation and the Irish country-by-country reporting legislation. Primarily in relation to options to appoint a surrogate parent entity or EU designated entity to provide the country-by-country report on behalf of the multinational group. Where there is a conflict, the Irish legislation takes precedence. Currently, there is no Irish legislation in respect of public country-by-country reporting, though this is an area of interest to the European Commission and ultimately may be introduced as an EU directive. As mentioned above, the Irish transfer pricing legislation states that in computing the taxable profits and losses of a taxpayer, the legislation shall be interpreted to 'ensure, as far as practicable, consistency' with the OECD Transfer Pricing Guidelines. The Irish transfer pricing rules do not prescribe any preferred transfer pricing methodology or methodologies. Provided the methodology is appropriate in the circumstances and adheres to general OECD principles, it should be acceptable. Therefore the identification of the most appropriate transfer pricing method, either traditional transaction methods (CUP, resale price and cost-plus) or a transactional profit method (transactional net margin and transactional profit split), and the application of that method should be in accordance with the OECD Transfer Pricing Guidelines. Irish Revenue has recently published guidance on a simplified approach in respect of low-value intra-group services.17 In summary, where a cost-based method is determined to be the most appropriate transfer pricing method for determining an arm's-length price for low value intra-group services, Irish Revenue is prepared to accept a markup of 5 per cent of the relevant cost base without the need for a benchmarking study. The guidance also sets out the documentation requirements for the taxpayer in order to avail of this simplified approach for low value intra-group services. Low value intra-group services are services performed by entities within a multinational group for other entities within the same group and are typically administrative, routine and supportive services that are ancillary to the main business and do not involve valuable intangibles or risk for the service provider. Irish Revenue is prepared to accept a markup of 5 per cent of the cost base without the need for a benchmarking study to be carried out by the taxpayer to support this rate. confirmation that no markup has been applied to pass-through costs. Irish Revenue accepts that the EU guidelines on low-value added intra-group services represent good practice. On transfer pricing matters, Irish Revenue does not typically engage in dawn raids. The taxpayer will be provided with reasonable notice of an upcoming visit or intention to initiate an audit. This is typically followed by a series of written request for further information or explanations. This may be supplemented by requests for meetings with representatives of the taxpayer and interviews with relevant persons employed by the taxpayer. While Irish Revenue will seek to understand the taxpayer's business and obtain an overview of its global business, in the normal course of events the primary focus is typically on the direct intra-group relationships to which the Irish resident taxpayer is a party. Irish Revenue does not typically consider arrangements to which the Irish taxpayer is not a party or seek to allocate profit share per jurisdiction throughout a multinational group. Irish Revenue may also serve notice on a financial institution and other third parties to make books, records or other documents available for inspection, if they contain information relating to a tax liability of a taxpayer, even if the taxpayer is not known to the officer but is identifiable by other means. The officer authorised must have reasonable grounds to believe that the financial institution or other third party is likely to have information relating to this liability. Irish Revenue is a strong advocate for international cooperation on tax matters. Ireland has entered into a more than 70 double taxation treaties and numerous tax information exchange agreements under which Irish Revenue cooperates with foreign authorities in the exchange of tax information. Irish Revenue has information exchange obligations arising from Ireland's membership of the European Union and the OECD, both of which involve automatic exchange of information relating to cross-border tax rulings and advance pricing agreements. There are no particular rules in Ireland addressing transfer pricing in respect of intangibles. However, Ireland has strongly endorsed the outcomes of the BEPS project, including the report on Actions 8–10. The 2017 OECD Transfer Pricing Guidelines have not yet been incorporated into Irish law. Therefore in non-double tax treaty transfer pricing cases the DEMPE principles should not have direct application. This is particularly relevant from an Irish perspective in the context of royalty payments from Irish resident companies to IP holding companies resident in a non-double tax treaty jurisdiction. However the DEMPE principles are relevant in double tax treaty cases. There is no publicly available information on transfer pricing settlements concluded with Irish Revenue. However, in practice it is clear that Irish Revenue places great importance on reaching settlements that can be supported by appropriate evidence and are based on OECD principles. Under Irish Revenue's internal quality assurance programme a selection of audits and ultimately settlements are monitored to ensure quality. A taxpayer may make a voluntary disclosure of an underpayment of tax before an audit has commenced in order to benefit from reduced penalties. Once an audit has commenced, and through the appeals process, the opportunity to settle remains open, though the level of penalty mitigation may be reduced. As Irish Revenue will endeavour to conclude a transfer pricing settlement based on OECD principles, they will generally accept a similar methodology going forward as long as the facts and circumstances have not changed. While a settlement discussion may be broadened and extended into a bilateral advance pricing agreement Irish Revenue will no longer agree to a unilateral advance pricing agreement in any circumstances. Irish Revenue maintains scrutiny on the transfer pricing matters within the framework of the existing tax compliance infrastructure with support from a team of economists. Separately Irish Revenue's competent authority team manage international transfer pricing disputes and bilateral or multilateral advance pricing agreements. the basis for establishing how the arm's-length standard is satisfied. This initial non-audit intervention could lead to a more traditional audit. Over time, as experience has grown, transfer pricing audits are more common and are handled in a similar manner to audits under other tax heads. Irish Revenue have noted that the deployment of their resources will take into account risk factors and, therefore, it is unlikely that transactions between persons that involve no overall loss of revenue will be targeted. The statute of limitation for raising an assessment is four years from the end of the accounting period in which the relevant tax return is delivered.21 This typically means the accounting period remains open for audit for five years from the end of the accounting period in question. Once an assessment is raised the taxpayer has 30 days to lodge an appeal to the assessment in writing. The case then moves forward to the Tax Appeals Commissioners for determination. Further appeal on points of law may be made to the High Court, Court of Appeal and ultimately the Supreme Court through the regular court system. It is worth noting that settlement negotiations can continue during the period following the issuing of an assessment and lodging an appeal. To make an appeal to an assessment the taxpayer must submit a formal notice of appeal to the Tax Appeals Commission, along with a copy of the notice of assessment or the letter of notification containing the decision to be appealed. The notice of assessment or the letter or notification will state the time limit for making an appeal but it is generally 30 days from the date on the notice of assessment or the letter or notification. For the Tax Appeal Commissioner to accept the appeal, the taxpayer must have submitted a tax return and paid the amount of tax declared on the return. It is not necessary to pay the tax assessed by Irish Revenue in the notice of assessment. If this condition is not satisfied, Irish Revenue may object to the leave to appeal and will notify the taxpayer of such objection. While Irish Revenue can object to the acceptance of the appeal, it is a matter for the Tax Appeals Commission to accept or refuse to accept the appeal. Most appeals end up being settled by an agreement between taxpayers and Irish Revenue rather than being decided by the Tax Appeals Commission. The appeal to the Tax Appeals Commission will remain open for the duration of any discussions with Irish Revenue. However, the Tax Appeals Commission may decide to proceed with the appeal if it thinks that it is unlikely to be settled by agreement or it is unlikely to be settled within a reasonable period of time. Most appeals that end up with the Tax Appeals Commission are decided following an oral hearing before an Appeal Commissioner. A hearing involves the Appeal Commissioner listening to arguments and evidence presented by the taxpayer and an Irish Revenue official. Both parties may be represented by a tax adviser or lawyer. Before an oral hearing takes place, the Tax Appeals Commission may ask the taxpayer or Irish Revenue to provide additional information about the matter being appealed. The Tax Appeals Commission can decide not to have an oral hearing but, instead, to make a decision based on written material provided by the taxpayer and Irish Revenue. This is more likely to happen where the matter being appealed is straightforward. Whether your appeal is decided with or without an oral hearing, the taxpayer is given a detailed written decision that explains why the Appeal Commissioner made the decision. All decisions are published on the Commission's website22 but do not identify the particular taxpayer involved. To date, there have been no transfer pricing decisions published. Either party may appeal a decision of the Appeal Commissioners to the High Court on a 'point of law' but this is not a complete re-hearing of the appeal. Therefore, the ability to appeal will depend on the decision made by the Appeal Commissioner and the reasons given for making that decision. There has been no case law or Tax Appeals Commissioners decision on Ireland's transfer pricing legislation. In a case that pre-dated the transfer pricing legislation, Belville Holdings v. Cronin,23 the High Court considered whether a parent company was obliged to charge for services provided to subsidiaries in circumstances where it was otherwise incurring losses as a result of expenses incurred. The High Court held that the parent company should be obliged to charge expenses incurred managing its subsidiaries but only to bring the transaction within the realm of being a bona fide transaction in the ordinary course of business. Irish Revenue are not entitled to impose secondary adjustments under transfer pricing legislation where those adjustments do not relate to an understatement of trading profits. Where the taxpayer does not agree on the liability to a penalty then it is a matter for the court to determine whether that person is liable to a penalty. Ireland has not introduced a diverted profits tax or other measures to supplement transfer pricing rules. To avoid double taxation on transfer pricing matters, taxpayers may request mutual agreement procedure assistance under the terms of the relevant double tax treaty or the EU Arbitration Convention. The legal basis for a mutual agreement procedure request falls under the equivalent of Article 25 of the OECD's Model Tax Convention on Income and on Capital in the relevant double tax treaty. In international transfer pricing matters it is typically advisable for each affected taxpayer to make a separate request for mutual agreement procedure assistance to the competent authority of the country in which it is resident. Under the multilateral instrument agreed as part of the BEPS process Ireland has opted to allow a taxpayer approach the competent authority of either jurisdiction. The mutual agreement procedure request must be submitted in writing within the time limit applicable in the relevant double tax treaty (which is typically three years, but may vary by treaty) or the EU Arbitration Convention (which is three years from the first notification of the action which results or is likely to result in double taxation). The time period typically begins from the date of the first tax assessment notice or equivalent. Double taxation can also be avoided by means of settling an advance pricing agreement. Importantly Irish Revenue is prepared to conclude a multilateral or bilateral advance pricing agreement with double tax treaty partner jurisdictions. Irish Revenue will not conclude unilateral pricing agreements. Irish Revenue has issued detailed guidelines on the processes for advance pricing agreements. A request for mutual agreement procedure can be distinguished from a request for a correlative adjustment where a foreign associated taxpayer has settled a case unilaterally with its foreign tax administration with regard to a transaction with its Irish associated taxpayer, and the associated Irish taxpayer subsequently makes a claim to Irish Revenue for a correlative adjustment. Irish Revenue will consider the appropriateness of such claims and will only allow a correlative adjustment to the profits of the Irish taxpayer to the extent that it considers the adjustment to be at arm's length. Double taxation may be unavoidable in a situation where a non-negotiable tax settlement has been agreed in one jurisdiction and Irish Revenue do not consider the settlement reached to reflect an arm's-length position. Where a transfer pricing adjustment is simply booked as an adjustment to taxable profits and there is no adjustment to the actual price charged and invoiced as between the associated entities then there should be no VAT impact. Where the adjustment is charged and invoiced then VAT returns should be amended as appropriate. The VAT recovery consequences will then depend on the VAT profile of the entity in question. For customs purposes the price paid or payable is taken as the transaction value for customs purposes. So a transfer pricing adjustment that results in a change in the price paid may be relevant to any market valuation used as part of customs reporting. In light of the recent decision of the European Court of Justice in Hamamatsu Photonics Deutschland,26 the impact of pricing adjustments on the customs valuation declared on the importation of the goods is unclear. Irish Revenue has not published guidance or otherwise commented on the decision to date. if it is decided to implement any or all of the above recommendations, this should take place no later than the end of 2020. Irish Revenue has recognised transfer pricing as an important tool for raising tax revenues and defending the existing Irish tax base. The number of domestic and international transfer pricing disputes is increasing. In the meantime, the Irish transfer pricing rules are ready for modernisation and we are likely to see important changes over the coming years. It remains to be seen whether the changes to the rules will help alleviate the potential for disputes in this area. 1 Joe Duffy and Catherine O'Meara are partners at Matheson. 2 Taxes Consolidation Act 1997 (as amended up to Finance Act 2017). 5 Section 453 TCA. Deleted by Finance Act 2012 section 54. 9 Section 42 Finance Act 2010. 15 Transfer Pricing Documentation Guidance Note – TB07, June 2010. 17 Transfer pricing and low value intra-group services. 19 See Revenue Operational Manual 35A-01-01. 24 See Code of Practice for Revenue Audit and other Compliance Interventions, February 2017. 25 See Tax and Duty Manual Part 35-02-08. 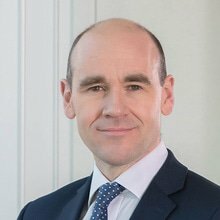 27 Review of Ireland's Corporation Tax Code presented to the Minister for Finance and Public Expenditure and Reform by Seamus Coffey, September 2017.